Designated Driver Admissions will not be served alcohol beverages. EARLY BIRD DISCOUNT TAKEN AT CHECKOUT. 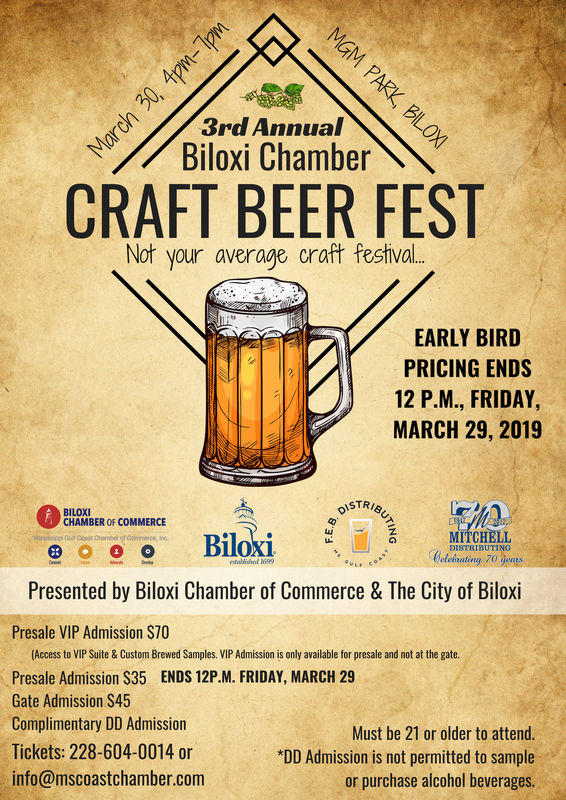 Biloxi Chamber's Inaugural Craft Beer Fest is an opportunity to sample many local craft beers plus more. The event will be held at MGM Park and attendees will sure leave with a new favorite in the Craft Beer offerings.